The first missed school day (February 11) is eligible to be waived because it occurred during a Governor-proclaimed state of emergency. 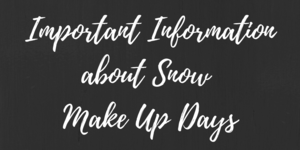 The second missed day of school (February 20) is not eligible to be waived, and we have worked with our staff to create a plan for making up the missed instructional time without extending the school year. As a result, we will be adding 8 minutes to the end of each school day between April 11 and June 14. This will include an additional 8 minutes to the end of collaboration days (April 17 and May 15) and to the last day of school (June 14). In summary, this will allow the last day of school for students to be June 14th as planned. Please note: There will be no changes to AM transportation. District PM transportation will offer the same services and routes, 8 minutes later. We are thankful for the patience of our families and staff as we worked to create a solution that is most agreeable to all impacted parties. Thank you in advance for your understanding of this schedule change! 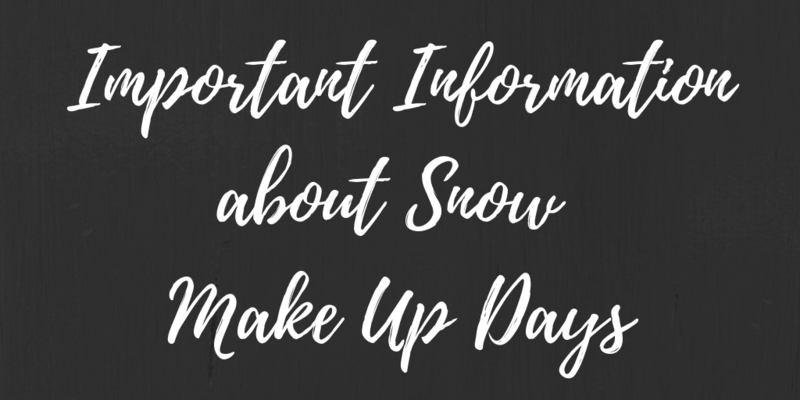 If you have any questions, please contact Shannon Focht sfocht@psd267 or 509-334-3581.